So happy to announce that earlier this month, I got together with one of my favourite Children Apps - Kidloland which I've mentioned a few times in this blog (read my review here) and we came up with some interesting and useful resources for mamas like me. 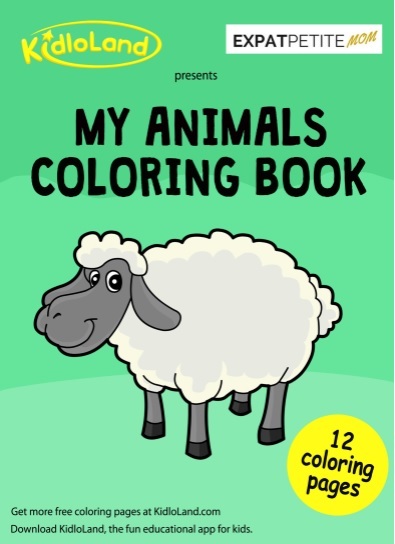 What came out of that, is this really cool My Animals Coloring Book with 12 coloring pages along with so many different themes you can download at their website soon for free. The illustrations are simple yet fun enough for children to develop creativity, fine motor skills and color recognition. It is ideal as bonding time for you and your children. I've attached a sample PDF file so you can check it out. Let me know what you think of this sample. As for me and baby we just love our printouts and couldn't stop filling each pages with colors. This is fabulous! So inspired to start coloring again!!! !